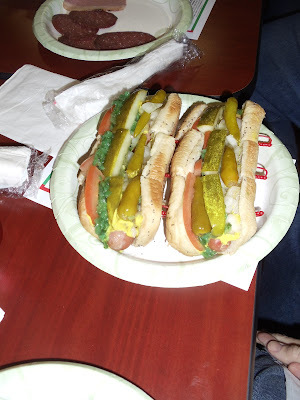 For the past few years, I have been traveling around to different hot dog joints and doing Hot Dog Stories. My travels have taken me to 8 states and Canada. A milestone was looming on the horizon: my 100th different hot dog joint! When the Roadfood.com Massachusetts group decided to have a meetup in my hometown, I couldn't resist. I had been meaning to get to this place for a while. 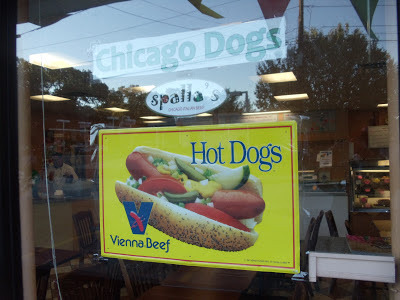 I'm talking about Spalla's Chicago Dogs in Natick, MA! I went there and met the Roadfood.com crowd and the owners. Chicago hot dogs were on the agenda! 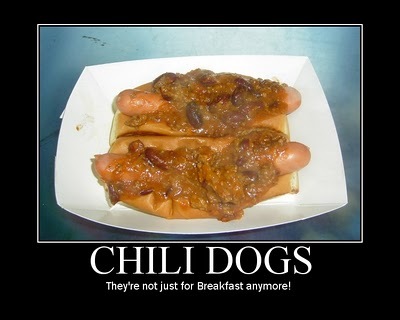 For the whole story, head on over to Hot Dog Stories.